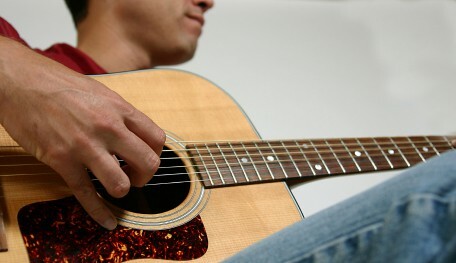 Many adults find the prospect of learning to play a musical instrument both exciting and intimidating. When we are younger, we are apt to feel that music and learning to play is something magical. The adult comes with an attuned awareness of the hard work involved and of the often-daunting skills gap that exists between their current ability and the level of someone who is fluent with their instrument. However, learning to make music with a piano, guitar, violin or your own voice provides a host of benefits including increased mental dexterity, an unmatched sense of achievement and satisfaction, a more finely tuned ear, and an amplified appreciation for music in general. Beyond the more obvious rewards, music lessons for adults invaluably help us to confront the parts of ourselves that have a hard time making mistakes, put undue pressure on ourselves, lack some confidence or find it difficult to embrace vulnerability. Certainly the fact of gaining ability in singing or playing a musical instrument alone will enrich your life. But somewhere past our engrained personalities traits, our frustration, stubbornness and seriousness lies the truest gift for an adult music student: freeing yourself up from all these adult concerns and re-learning how to simply play. This is not to say that practicing a musical instrument does not require serious work. Many adults who approach a piano bench or a voice lesson tend to shy away or even shut down when it comes time for this commitment to practice consistently. Given the realities and busyness of adult life it is easy to see why this might be so. However, there is a more hidden reason why older people who come to music lessons find it difficult to fully commit and sometimes even quit early on. It is our deep-rooted fear of failure that prevents us from putting down our walls and picking up a violin. We hold back from singing out loud because we are afraid the neighbors might hear. We agonize over the clumsiness of our hands gripping a guitar neck and the awkward plunking sounds coming from uncertain and un-calloused fingers. The following tips will help you to get past the grief of being a beginner musician, break through discouragement and keep you coming back to voice or music lessons. Every great musician had to start at the beginning. Accept where you are at and trust you will get better with practice. Many adults who are new to music lessons will typically underestimate the amount they need to practice. Be honest with yourself about how much time you are willing to commit and keep in mind there is no fast track or magic solution to becoming a better player. You will get out of practice what you put in. Learning any kind of artistic skill, more than talent or technique, requires vulnerability. Try to be childlike in your sense of curiosity and play. Learning music can be a fun and magical experience regardless of your age.